A large book full of DIY-projects of 26 creatives from all over the world. With step-to-step explanations to help you get started: from a shelf of used wood to a crocheted ba, and from a pop-up garden made of paper to a mini-doll with matching outfit. 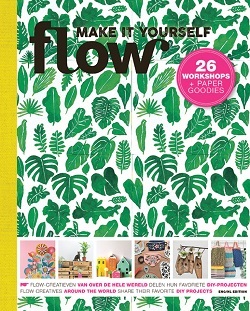 Including all patterns you need and of course many extra’s and paper goodies such as colored paper, DIY-labels and –stickers.